Even the cleanest of neat freaks among us skip the oven. Why? It just seems like such a chore, doesn’t it? 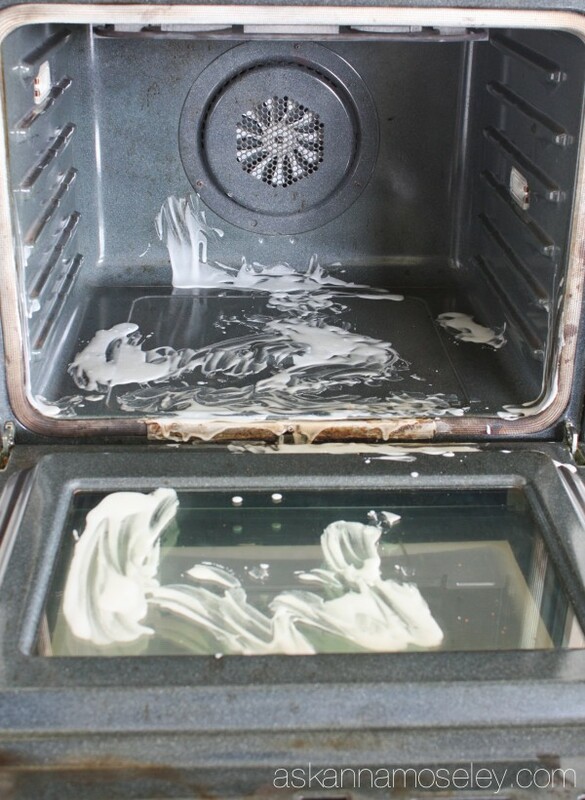 But we all know that self-cleaning function on the oven doesn’t quite do the trick. If it did, our oven doors wouldn’t be caked in who knows what, and that burnt-on food stain would magically get rid of itself. 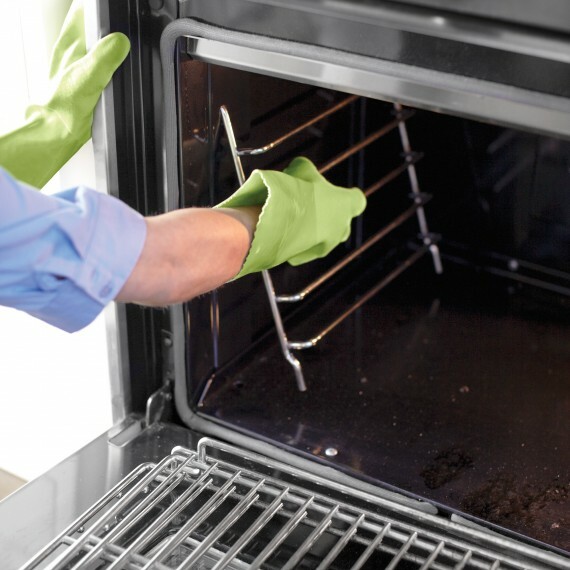 But since it doesn’t quite work out that way, we’ve rounded up the best oven cleaning tips to show you how to clean your oven like a pro. And it won’t even be difficult. Let’s go! Before you get started, remove the racks. They’ll just get in your way while you’re cleaning, and they probably need a good scrubbing, too. 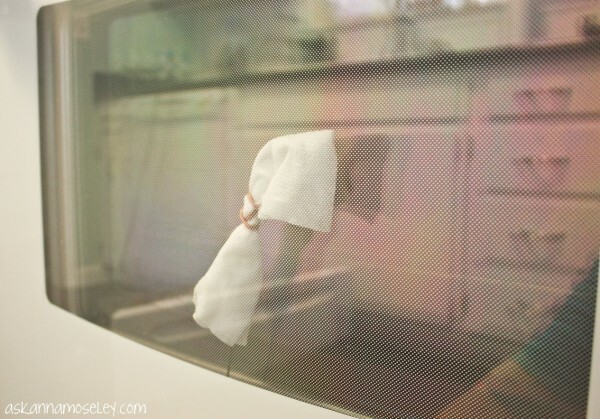 Get rid of burnt-on food stains with about half a cup of ammonia sitting in the oven overnight. Do not turn the oven on! 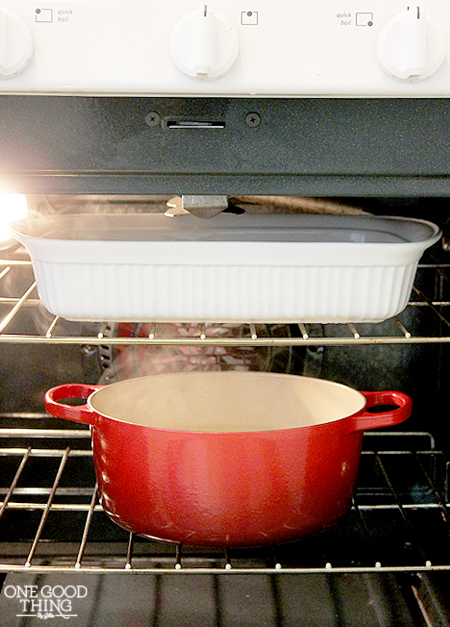 This method involves preheating the oven to 150 degrees farenheit first, and then placing a bowl of ammonia in the oven along with a pot of boiling water underneath. 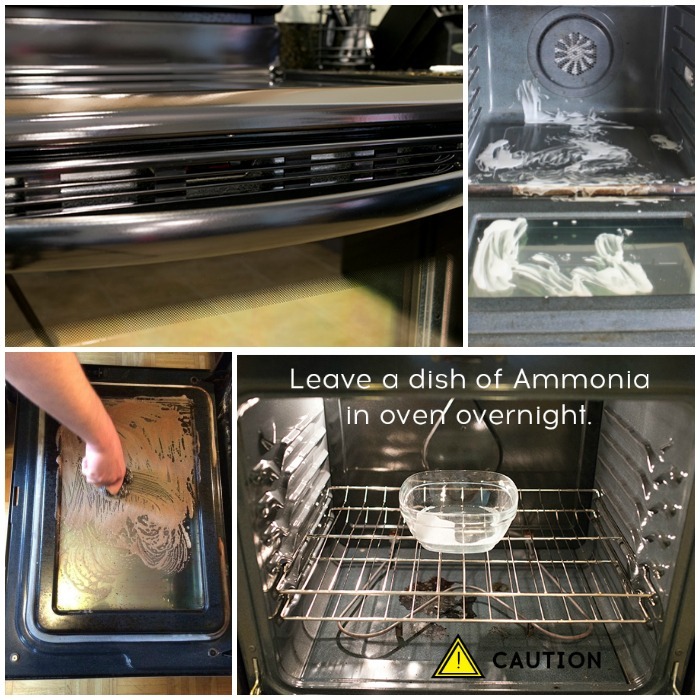 If you don’t like using ammonia, though, we’ve found lots of other tips you can try instead. 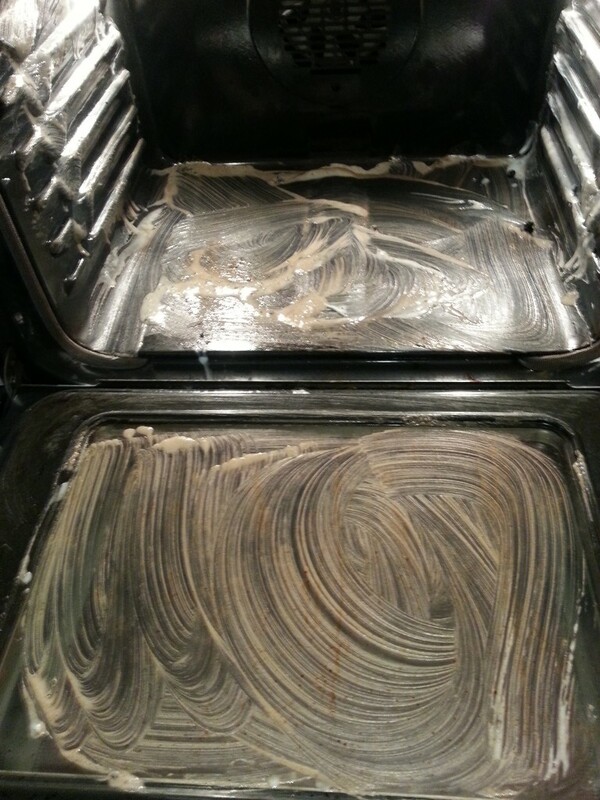 Gunk between the glass on your oven door that you can’t get to? It’s as simple as removing a panel! Who knew? If you don’t want to remove the panel, pull out the drawer, secure a cleaning cloth to a clotheshanger, and stick it up through the slats between the glass. I had no idea you could access the area between the glass this way! 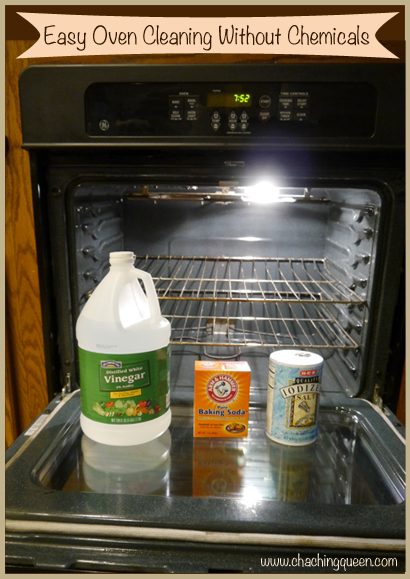 For spot cleaning your oven, try a paste made with dish soap, baking soda and water. It needs to sit a while before wiping it off. Here’s a similar mixture with the addition of vinegar and lime or lemon juice. It needs to set a few hours, and you may have to do a bit of scrubbing afterward to get the really tough spots off. 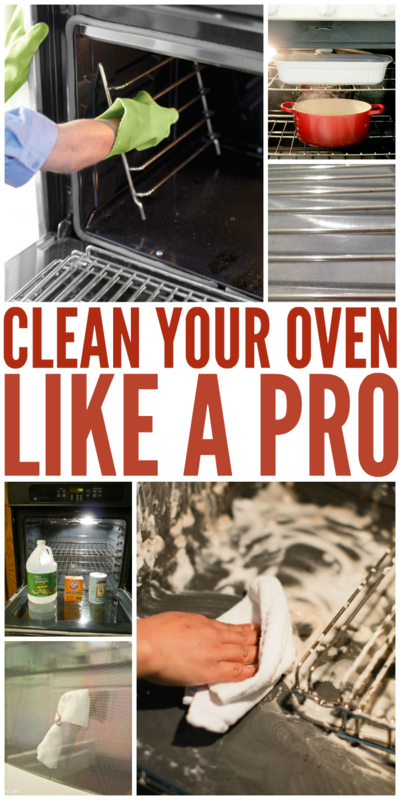 Or, to keep things simple, plain baking soda and water will work just fine, too, especially if you clean your oven regularly. After it sits overnight, spritz it with undiluted white vinegar. After a couple hours of fizzing and sitting, you’ll be able to wipe the stains away. Did you know that you’re supposed to clean it twice a year? Oops. Mine’s about 7 years too late. 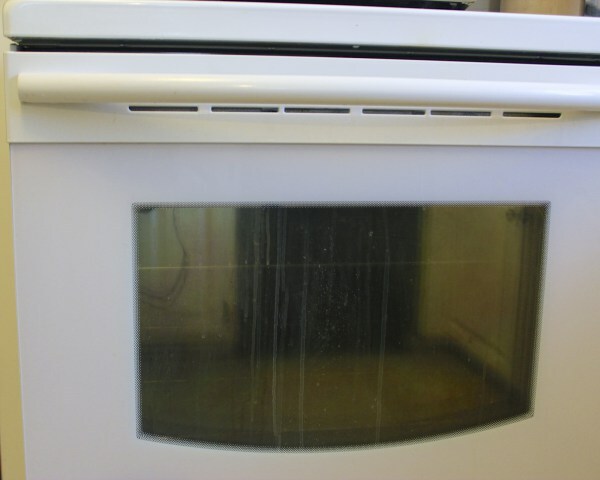 Coarse salt makes a great cleaning abrasive for scrubbing sticky, gunky ovens. 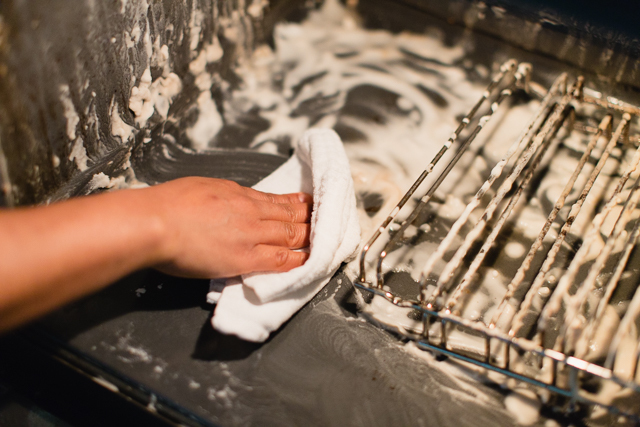 Combine one of these natural cleaning methods with a razor, and you’ve just discovered a scrub-free way to clean the oven door. 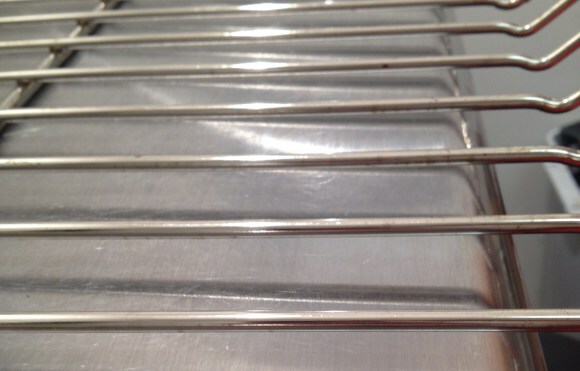 Dryer sheets and Dawn dish soap do a nice job of cutting the grease on oven racks, too. 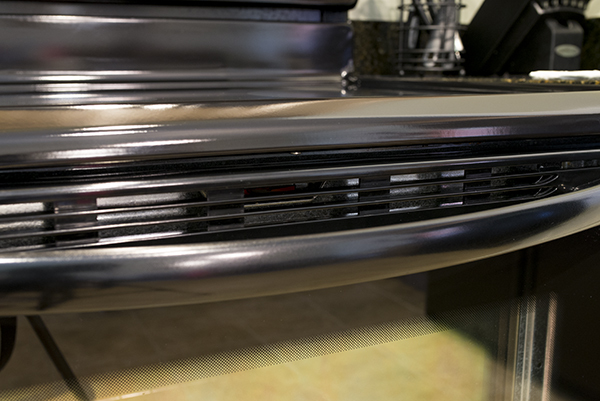 How about those slats behind the oven door handle? A butter knife wrapped in a paper towel solves that problem. Anna thinks of everything! 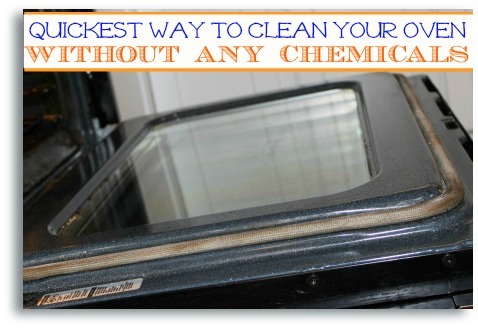 While you have your cleaner of choice in the oven, why not tackle the stovetop, too? 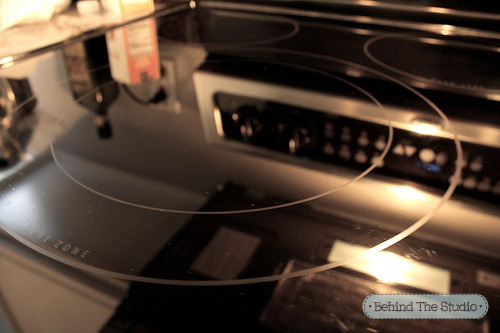 For glass cooktops, sprinkle baking soda over the top, and lay a wet towel soaked in water and dish detergent over the baking soda. It looks good as new! 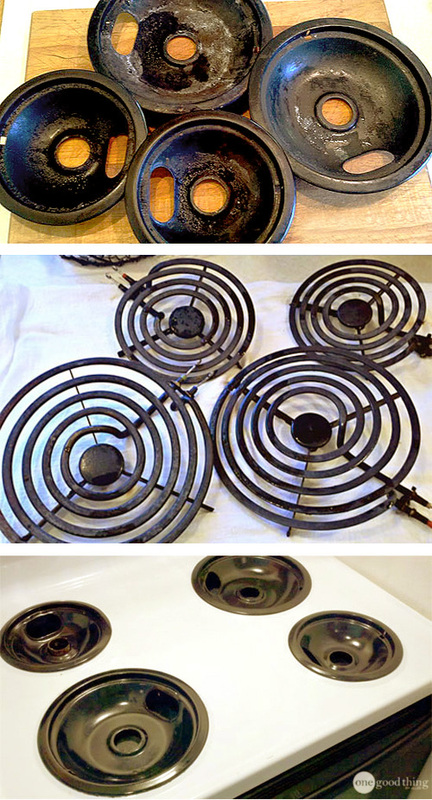 If you have removable burners and burner pans, put the burner pans in plastic ziploc baggies with a splash of ammonia. They’ll wipe clean the next day without any scrubbing. 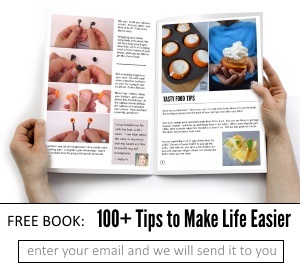 If you try one of these tips, let us know how it worked out for you!